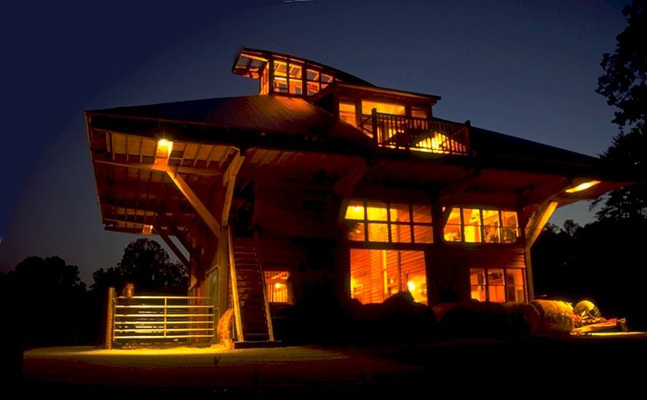 The Bolt Barn is a multi-purpose structure designed to accommodate the owner's variety of interests, hobbies and occupations. 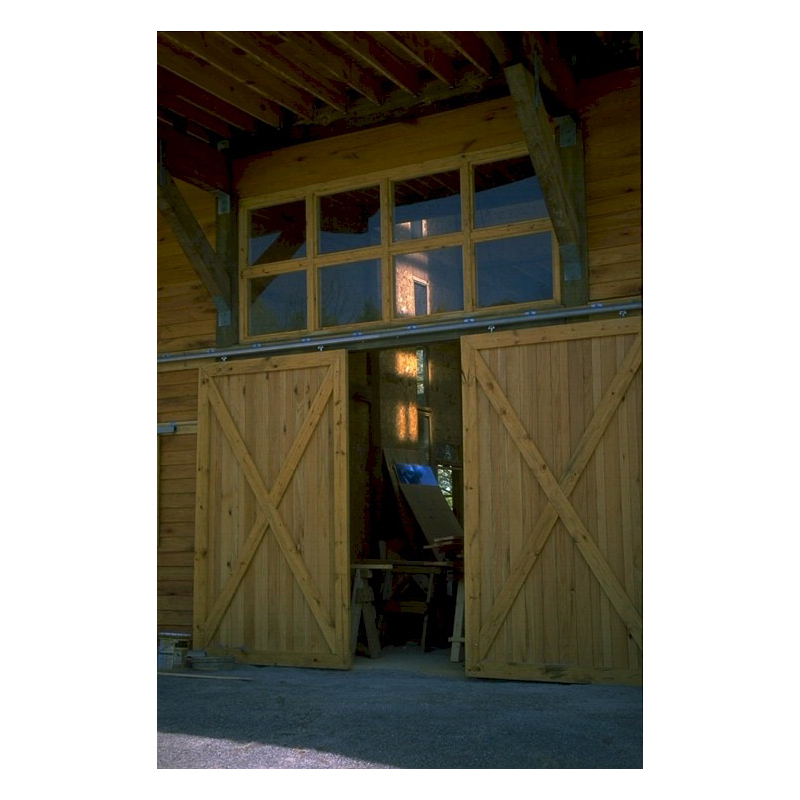 The program called for a barn hall, wash rack, tack room, hayloft, two horse stalls, an apartment, and a music studio. 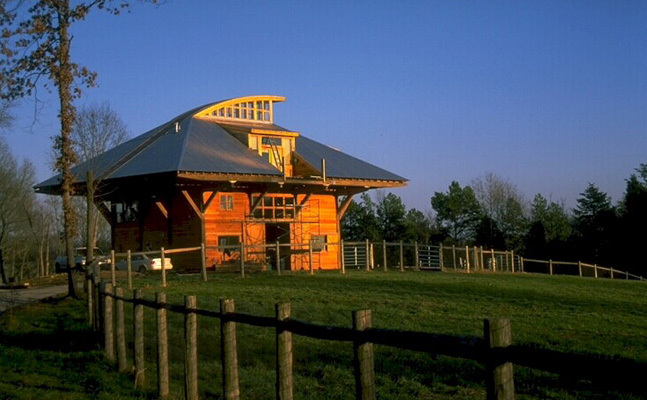 The traditional cantilevered barns of Appalachia provided an appropriate model and inspiration for the structure. 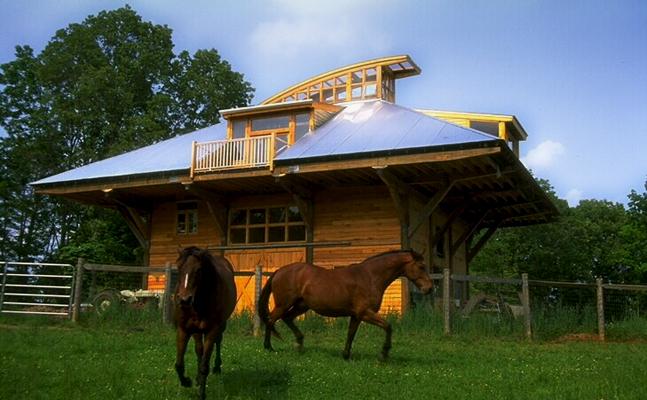 The barn is placed on the highest elevation of the site. 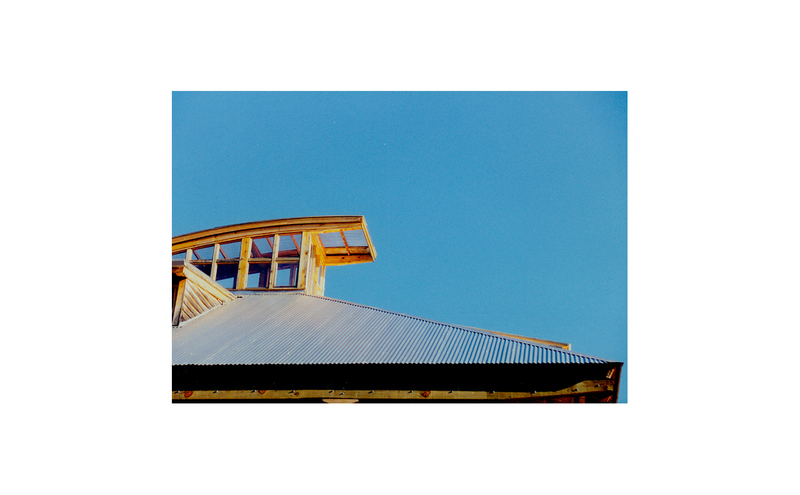 Its position, combined with the large cantilevered roof and arched skylight, creates an open yet sheltered presence on the site. 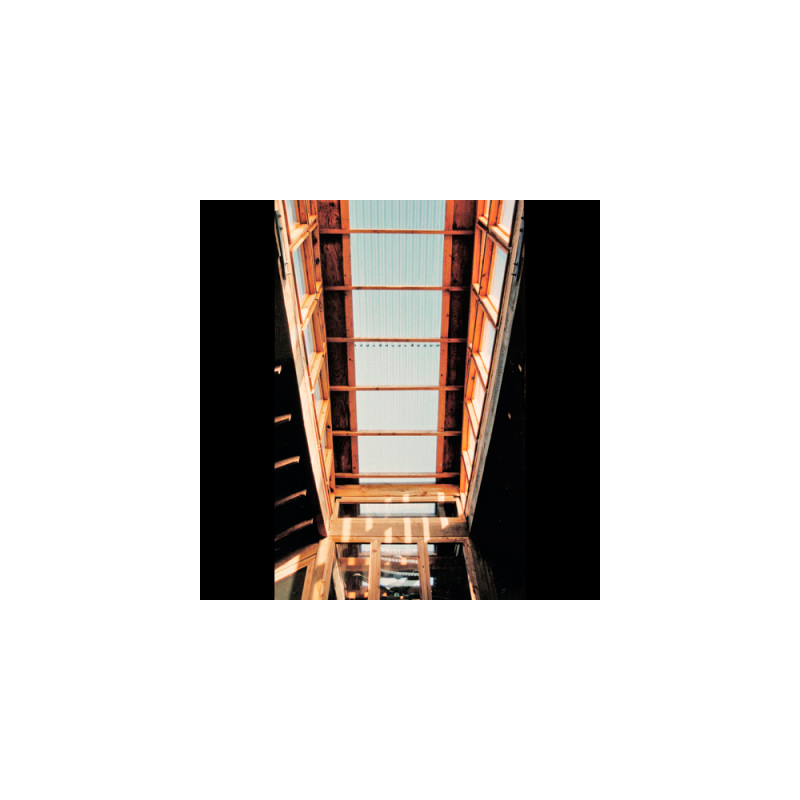 The roof skylight begins at the lowest elevation of the roof eave along the north side and continuously rises southward, its form recalling the mane of a horse. 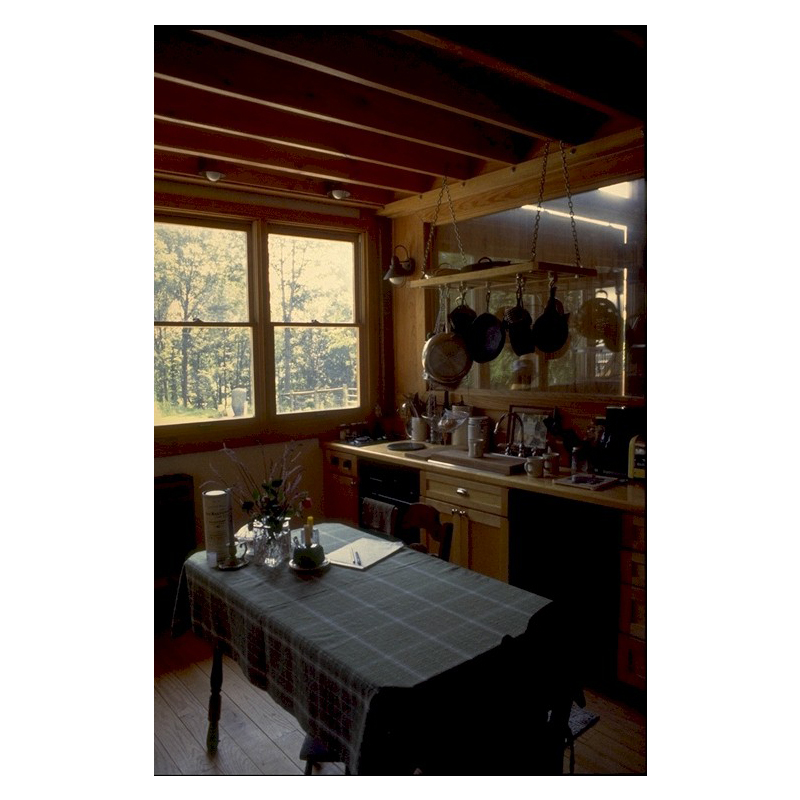 Within the uppermost portion, an observation nook provides a 360-degree view of the surrounding site. 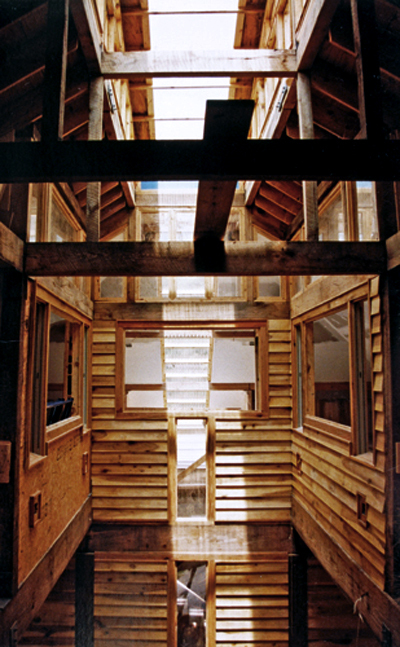 During the day, the skylight admits natural light into the barn hall and studio, and down into the stair and apartment. 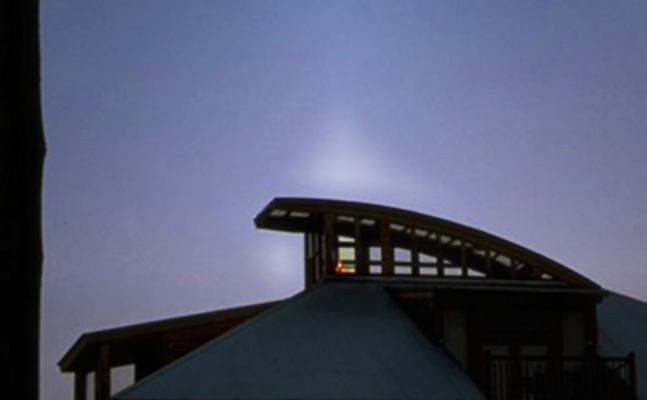 At night, when lit from within, it functions as a beacon for the site.